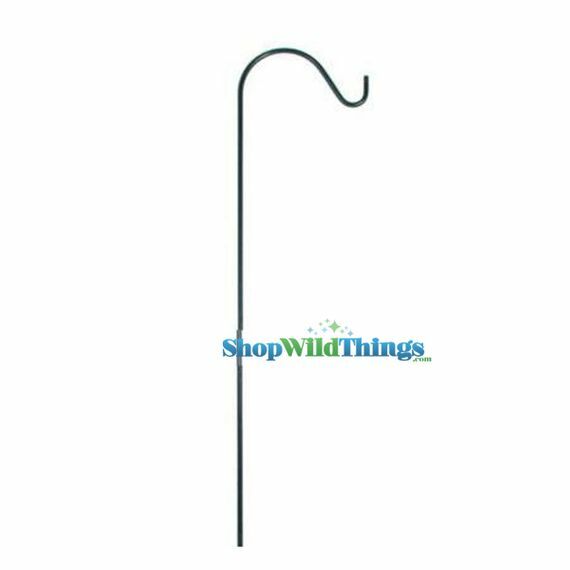 Our heavy duty 36" steel powder coated Shepherd's Hooks are excellent for hanging baskets, tulle draping and more at your beautiful outdoor wedding ceremony. Use them as aisle markers and hang candle holders from them. Drape fabric from one to the next for a dramatic and elegant look. 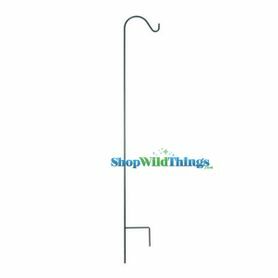 36" tall with a 5.5" wide space from the pole to the bottom of the outside curl where you'd hang your item. The measurement of this space only matters if you are hanging something wide like a flower basket. You just want to make sure that you have enough room. 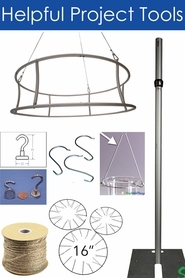 We'd recommend hanging something no wider than 10.5" so that whatever it is will hang nicely! The steel is 1/4" thick!